Alexcy Romero, who once lived in Valley Stream and Long Beach, assumes the new post in October. He has been with the National Park Service for 27 years. The blue skies, the water slapping the boat, the wooden walkways on the sliver of sand — former Long Islander Alexcy Romero will never forget the moment, more than 25 years ago, when he first saw Fire Island National Seashore. "I was mesmerized by the beauty of Fire Island, not knowing about Fire Island, even though I lived on Long Island," said Romero, who once lived in Valley Stream and Long Beach. "I'll never forget my first boss, looking at me as I started my career with the National Park Service. He said, 'This is the life. This is what makes working for the national parks so great, managing these incredible resources.' 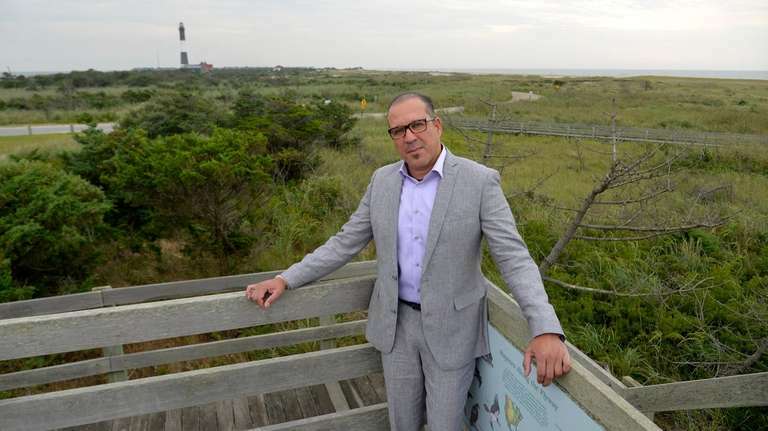 "
Romero, 52, is the new superintendent of Fire Island National Seashore, a dream homecoming. After years of fantasizing about the National Park Service job, the 27-year veteran of the agency will take the helm Oct. 14, succeeding the retired Chris Soller. He is leaving the Washington, D.C., area, where he rose to become superintendent of two parks with iconic memorials, including the statue of World War II Marines planting the U.S. flag at Iwo Jima. Not bad for a Brooklyn-born kid who was afraid of parks. Like many urban kids, young Alex had never experienced the great outdoors, camping and wild animals in any deep way. As a grade schooler, he always skirted an urban park that was on his way to school because his parents had told him not to walk through it — he never knew why, so fear of the unknown in the park grew. After graduating in environmental science at SUNY Old Westbury, Romero became a Nassau County public health sanitarian, inspecting food establishments. When a similar position popped up at the Gateway National Recreation Area in Jamaica Bay, he went for it. He oversaw health issues, from inspecting concessions to monitoring virus-carrying mosquitoes at the national park. Over the years, Romero wanted to manage the nation's natural resources — seeing places like Fire Island National Seashore as a sort of yoga, with its sunsets and its peace. He wanted to turn other "little Alexes" into private stewards of public lands. He encouraged schools to weave parks' historic monuments into classroom lessons. He recognized that each visitor had his or her special connection to a park, perhaps a certain seat or a jogging trail. In 2010, he was promoted from deputy to superintendent of National Capitol Parks-East, which covers 15 park sites from Capitol Hill to the Maryland suburbs. A few years later, he was chosen as head of the George Washington Memorial Parkway. Recently, as part of a multimillion-dollar rehabilitation of the Robert E. Lee Memorial in Virginia, he dove into the controversy over memorializing Confederate leaders by helping to set up a historian roundtable to discuss what new placards should say — basically the facts, including highlighting the general's post-Civil War efforts to unite the country. 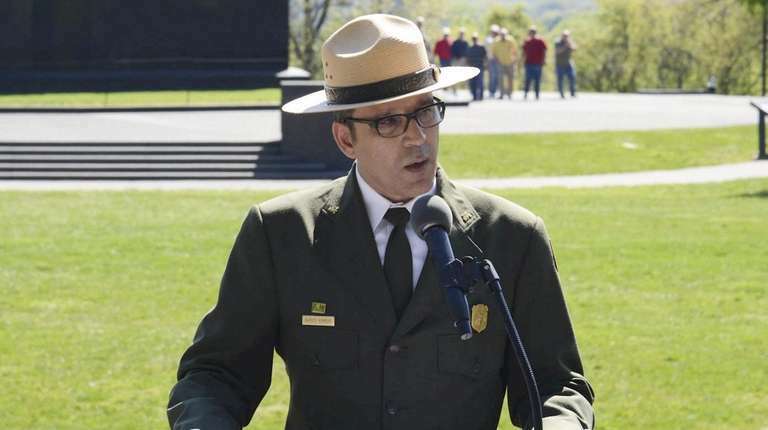 “Alex knows how to connect people to parks from historic communities and to inspire new audiences to find their park,” said Gay Vietzke, northeast regional director for the National Park Service. These days Romero fears seeing what superstorm Sandy did to the barrier island. He says he knows he has a lot of learning to do, and he will take a low-key approach at first — listening to staff, reaching out a partnering hand to the community and catching up on what has happened since the park first wove itself into his dreams. "Walking in flip-flops and having the sand between your toes, listening to the sound of waves, breathing in that salt air . . . I understand why parks are important," the incoming superintendent said. "Those who are not familiar with it — I feel like that's my job, to make that connection, so they can experience what I experience."